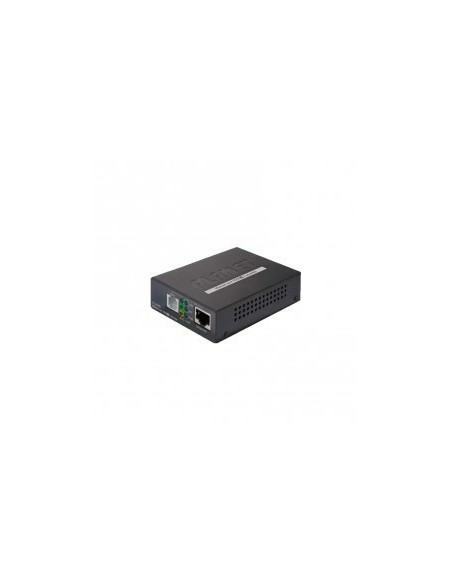 This Ethernet over VDSL2 Converter from PLANET Technology is a high-performance Gigabit Ethernet-over-VDSL2 Converter that works well with a telephone line network with a symmetric data rate of up to 200/160Mbps (G.INP, Sym, 8dB) over a distance of 300m and 20/12Mbps over a long distance of 1.4km. The VC-231G is based on the two-core networking technology, Gigabit Ethernet and VDSL2 (Very-high-data-rate Digital Subscriber Line 2). VDSL2 technology offers the fastest data transmission speed over the existing copper telephone lines without the need of rewiring. Via the latest VDSL2 technology, PLANET’s VC-231G offers high-speed access to Internet, up to 190Mbps for both upstream and downstream data transmissions. With integrated support for the ITU-T’s new G.993.5 vectoring technology, the VC-231G works in conjunction with vectoring-enabled DSLAMs to remove crosstalk interference and improve maximum line bandwidth across the existing copper infrastructure. 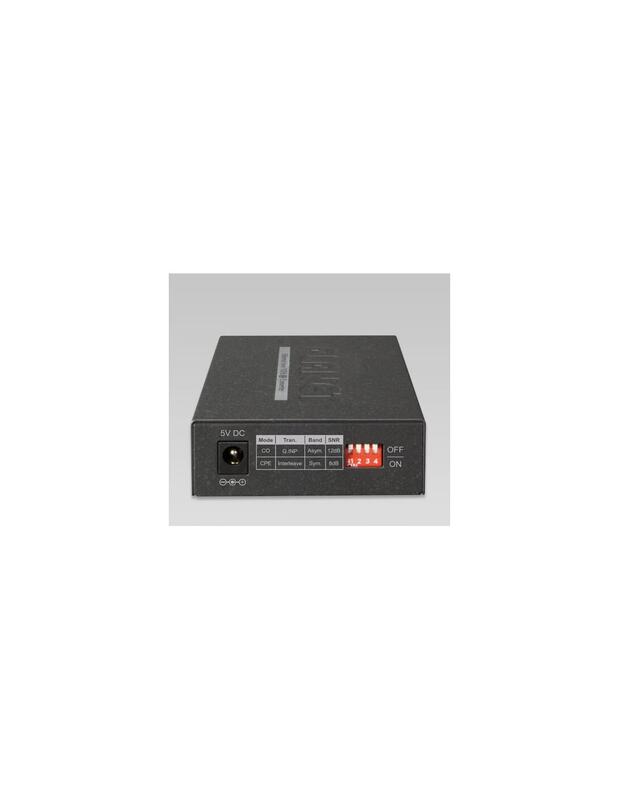 The VC-231G provides an excellent bandwidth demand for triple play devices, home entertainment and communication. With the asymmetric data transmission of 220/120Mbps (G.INP, Asym, 8dB), the VC-231G enables many multi-media services to work on the local Internet, such as VoD (video on demand), voice over IP, video phone, IPTV, Internet caching server, distance education, and so on. 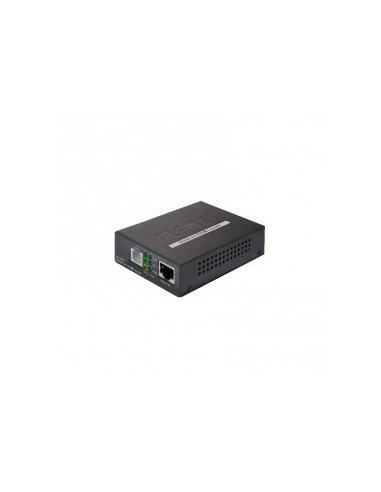 The Ethernet-over-VDSL2 converter comes with a plug-and-play design and is fully compatible with many network protocols. The operating status of each individual port and the whole system can be watched via the rich diagnostic LEDs on the front panel. The VC-231G offers two modes, CPE and CO, for application — CPE mode is used at client side and CO mode is at central side. The CPE or CO mode can be adjusted by using a built-in DIP switch. 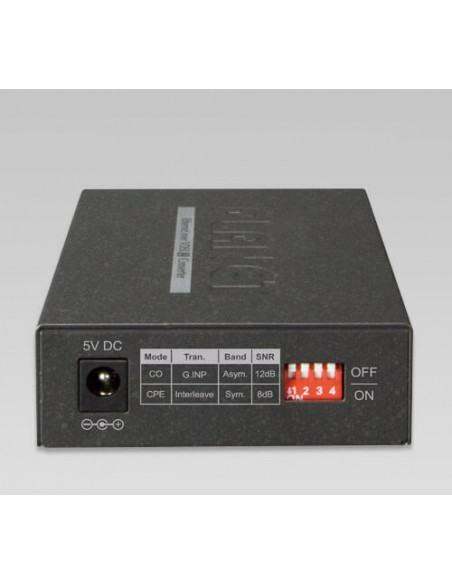 For point-to-point connection, a CPE mode VC-231G and a CO mode VC-231G must be set up as one pair of converters to perform the connection.